It is not often when we have the chance to sit together and for you to hear my guidance for all of my children. This is a special time, one that is ripe with fruit of plenty to enter your life – if you determine it to be so. The “Head” – when properly aligned with Divine Will is the guidepost that you can count on at every moment to give you direction from within. That is your queue to notice what exactly you are aligned with – Life being hard. Then as you feel woe and sorrow, as you look up to the sky, I ask you now to take heed and look into your own heart, your own mind and KNOW what you are aligning your thoughts with. Of course this process has been given to humanity for eons, simply to follow and trust it will all work out for the best. So, too, were commandments given, such as “Thou Shalt Not Steal” – because as Creator of Heaven and Earth, it bears mention that when you steal, you will be stolen from. But, there is another term for “stealing” – and this is “resisting” along with “begging”. If you are “resisting” change because you cannot see that it is precisely the change that will alter the course of your life the way you wish to live it most, then you are holding on to what you do not want, and cry as the old falls away. ALLOW THE OLD TO FALL AWAY. Rejoice in the NEW direction you are living, and find LIVE within this new direction. When you feel determination with a central core of love within your heart, you will trust that all that is not serving you will most certainly be replaced with all that will serve you positively – if you could only see what is ahead as the river bends, and life takes a turn. The economic collapse is happening, my Children, so you can finally PROSPER. You cannot prosper in debt. You cannot prosper with compounded interest payments. You cannot prosper living on loans eternally. You can prosper, and YOU WILL prosper when you turn into your heart and ask yourself if you are ready for the next step in your society’s evolution. Of course you are here to evolve – NOT “revolve” around in circles of dept with interest payments accruing moment by moment – how are you to ever get out of that cycle? This is “why” the current conditions are temporarily falling apart so the GOOD, NEW AND WONDERFUL conditions that will fill your life will enter – as soon as you get this lesson. When it was said, “The meek shall inherit the earth” “meek” does NOT mean “weak” it means innocent and pure hearted. “Getting as much as you can for as little as possible” is bearing fruit in many or most lives as “giving you back as little as possible” not because of a punishment – you, my dear Children are NOT being “punished” you are learning, growing, evolving, and you will overcome this temporary time, after the financial markets collapse. This is meant to be good and happy news. Similar to a bad marriage; once it collapses in divorce, then you can carry on with new joy – the joy that you did not feel when you were so unhappy. My Children, the “New Joy” is to feel your worth, as you are, not because of what you have accumulated, and not even because of what you are creating, but for your heart to simply be loving – towards yourself, towards all who have hurt you in the past – to forgive those who did not do as well as they could have, regardless of what they have done. Certainly you have made mistakes and have done things that today you may refer to as wrong – and you deserve forgiveness to begin anew. This message on the Head of the New Year, must be taken gladly, knowing full well that after every down cycle there is certainly an up cycle coming right after it. Take stock of the qualities you have within you that you love. Then, take stock of the qualities you have within you that you do not love, and seek to transform them from within to the outside. Your “head” must be focused steadfastly in alignment with what you do want! Your heart must be the moving force that can literally move heaven and earth as long as the love you feel is pure, no thing in this or any universe can ever steer good away from a heart filled with goodness. I call on you to remind yourself how little you truly need to be happy. What all need most is Love. Love for yourself, your direction in this life. Love for others who have fallen, and loving wishes for them to learn how to rise once again. You will look back and see how much you have grown and PROSPERED! Then your interest payments will accrue from all you do to replenish all you need. Cast out fear completely. Know goodness will reign. Know I am always with you. I AM THAT I AM your God we are One. © Copyright 2010 Barbara Sherry Rose, PhD All Rights Reserved. 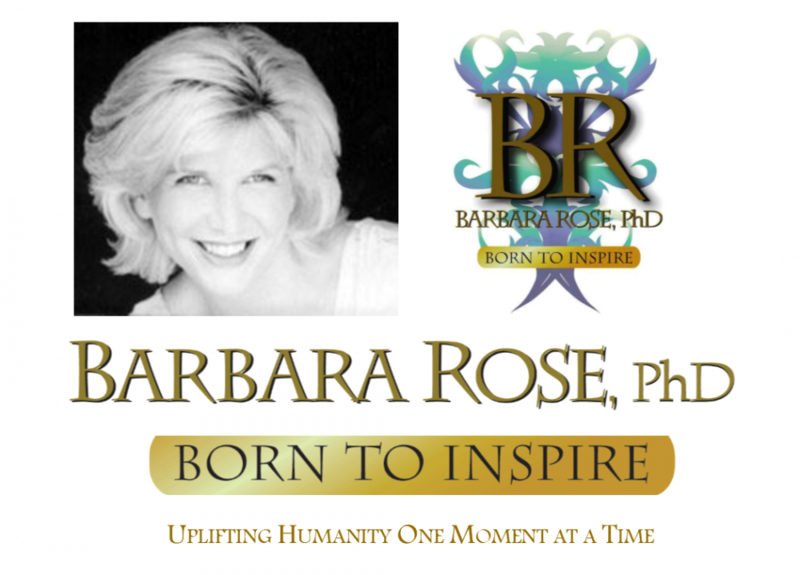 This entry was posted in Browse Higher Self Communication and tagged Comments about the work of Barbara Rose, God Guides Humanity by Barbara Rose, PhD |Born To Inspire | Bestselling Author| Life Transformation Expert. Bookmark the permalink.